I love all the various shades of red; red is my favorite color. 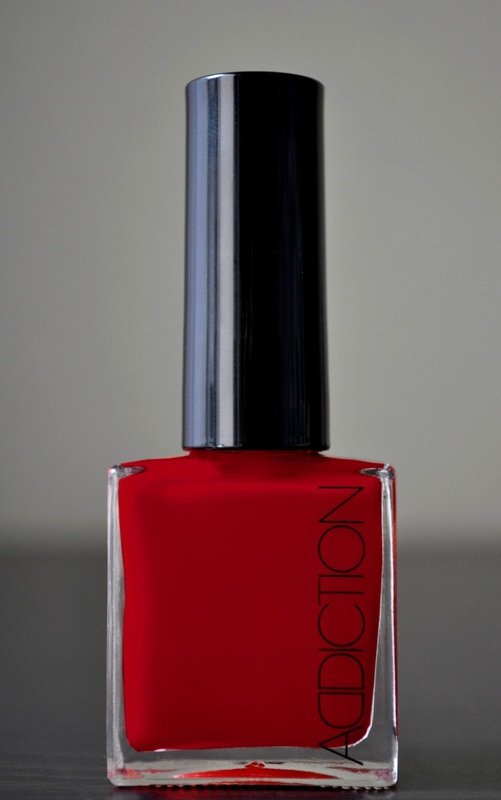 ADDICTION's Chinoiserie 064 is a gorgeous, vivid, Chinese red. I can't wait to wear this stunner during the Christmas season. The formula is superb! Chinoiserie's consistency is more than just right, it's perfect! Practically opaque with one coat, it applies like butter, and has an intense, glossy, crelly finish. I almost got a full week of wear, that is, until I got a chip on my left index finger on day 6...pretty impressive. OH! A crelly! So beautiful!